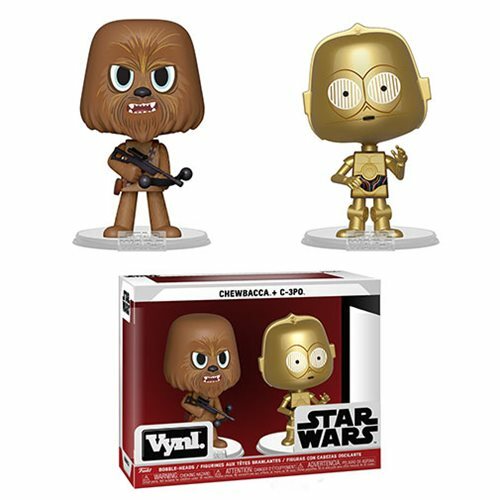 Celebrate the most stellar fandom with this Star Wars Chewbacca and C-3PO Vynl. Figure 2-Pack! Chewie's confidence balances nicely with C-3PO's fastidious, polite personality and make the perfect companions for any rebellion. Each figure measures approximately 3 3/4-inches tall. They come packaged in a window display box. Ages 3 and up.